If someone were to ask what Texas contributes to the United States, one might hear cowboys or barbecue as typical responses. However, apart from these classic stereotypes Texas also performs an integral role in the U.S. economy. In 2016, Texas was ranked as the second largest state economy in the U.S., attributed to their fast economic and job growth. In fact, in 2015 Texas produced $1.59 trillion regarding their economic output, making them the 10th largest economy in the world. In addition to this, the approximant disposable personal income of Texans was around $42.724 in 2016, slightly higher than the average for the 2016 disposable personal income of the U.S. as a whole; approximately $39.171. Taking into account statistics such as this, it is evident that Texas is both a critical contributor to the U.S. and the global economy, in addition to being a desirable destination for exports and investments. One economic relation of particular importance to Texas is the one shared between this state and Italy. In 2016 Texas received imports totaling $2.968 million dollars directly from Italy. This figure accounted for approximately 1.3% of their total imports in 2016. Furthermore, Italy is ranked 14th in regards to foreign countries Texas receives most imports. There is also an organization known as Italy-America Chamber of Commerce of Texas (IACC), established in Houston in 1992. Some of the sectors within the Texas marketplace that have potential to expand in regards to Made in Italy products include food & wine, mechanics, fashion, and high-end furniture. There is frequently an association between products with this Made in Italy branding and a perception of luxury. Taking this high-quality view of Italian products into consideration and the recent increase in Texans disposable income, an opportunity gap becomes apparent for Italian products to experience success within the luxury markets of Texas. In addition to high quality, Italy is also well-known for their rich culture, particularly in regards to their delicious food, passionate communication style, and their overall family oriented welcoming way of life. This positive perception of Italian culture heightens the demand for Italian products linked to their unique lifestyle. Therefore, products found within both the food & wine and fashion sectors have a significant appeal to Texan consumers due to their perceived cultural association. While Texas may experience stereotypes such as having cowboys and barbecue in abundance, Italy has stereotypes of its own centered upon their vibrant and beautiful culture. Products with the statement Made in Italy have a certain allure about them; consumption of these items providing a means for foreigners to consume this captivating culture. 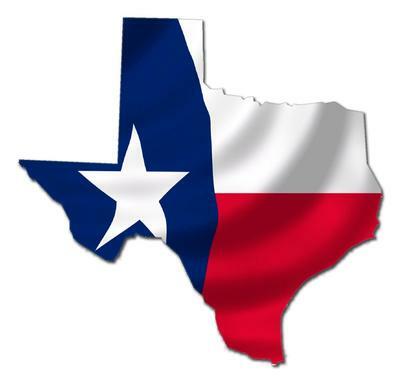 With the Texas economy currently so robust and the high level of disposable income recognized within this state, Italian businesses should take into consideration the benefits associated with expanding their products and capturing the potential profits found within this market segment.